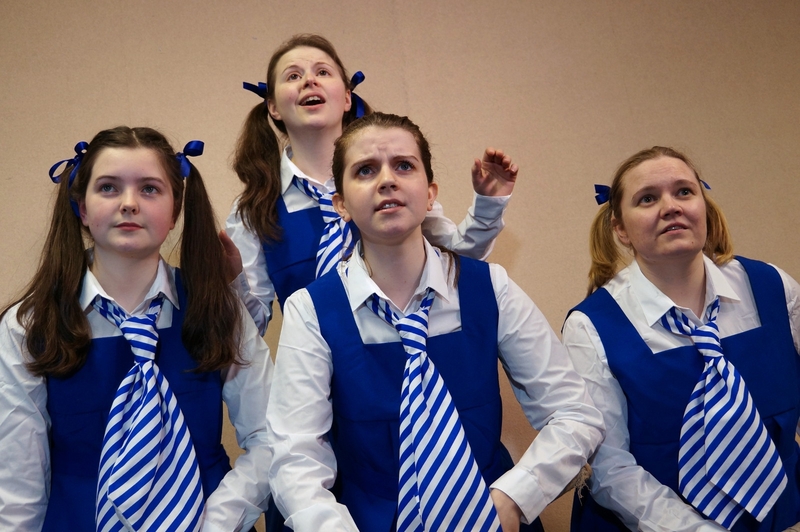 In March, ACT will be performing the hilarious and endearing comedy Daisy Pulls It Off by Denise Deegan. 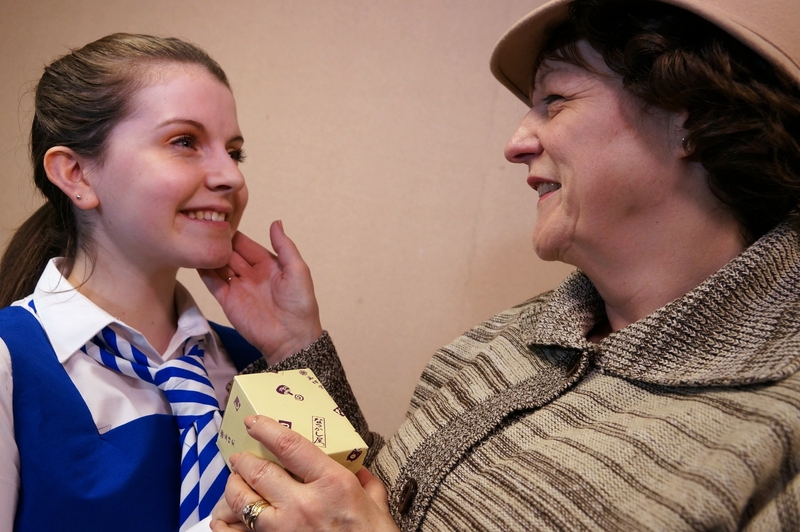 The play is set in 1927 and is a spoof of the boarding school novels of Angela Brazil and Enid Blyton. 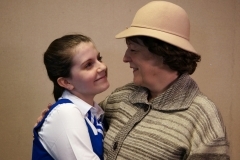 Daisy Meredith wins a scholarship to the frightfully posh Grangewood School for Young Ladies and bids a fond farewell to her decent but lowly family. She is welcomed by fair-minded and sporting duo Trixie and Belinda, but despised and plotted against by snobbish Sybil and her smarmy sidekick Monica. Naturally, it’s only a matter of time before Daisy excels at hockey, cracks a secret code, solves the mystery of some hidden treasure, and saves both a fellow-pupil’s life and the school. 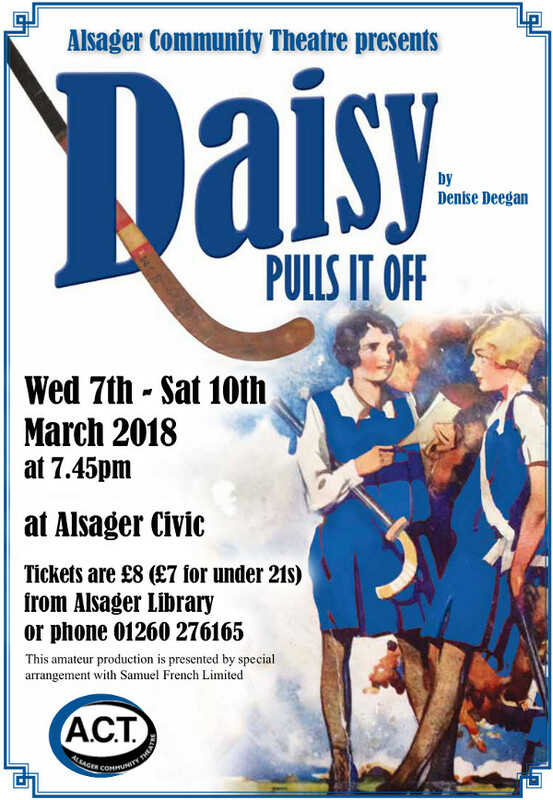 This play will be performed at the Alsager Civic centre from the 7th – 10th March 2018. A special thank you must go to the Crewe Lyceum theatre for their technical support.